A creative life is a happy life, and anyone, no matter how talented they are, can benefit. Creativity is an aspect of our lives that encourages us to express ourselves. Self-expression is crucial to our wellbeing, as it allows us to live our most authentic lives. Focusing entirely on work, or on your responsibilities, does not allow you to adequately express yourself creatively. Instead, it opens you up to technology dependence, like scrolling through a feed or watching a show are very passive activities that, in effect, don’t engage the mind. 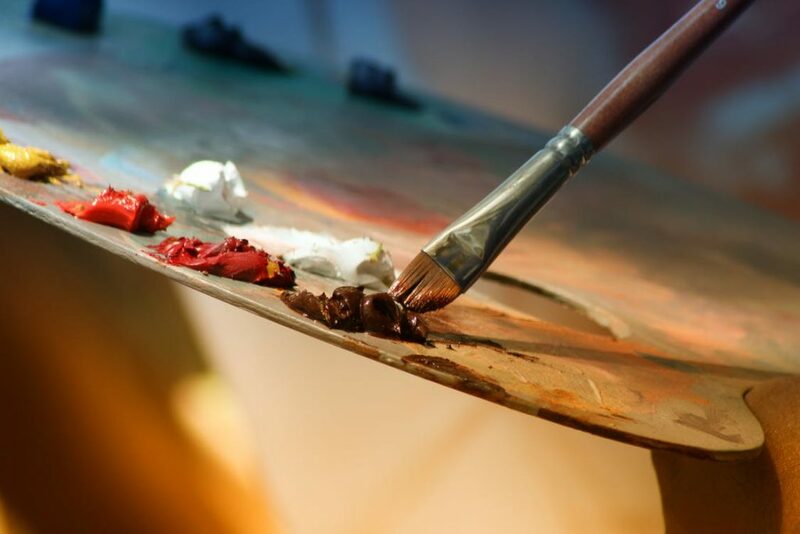 Creative expression can help you be happier, help you manage your stress, and can help you feel more fulfilled. No matter what your creative passion is, whether it is music or dance, or drawing, pursue it in your free time. The act of creating is very cathartic, and as a result, it can help support other areas of your life. This is especially important if you have creative passions but your day job has, for whatever reason, forced you to stop. Perhaps you have become too tired or too uninspired to create. You cannot quit your work because it helps support your life, but abandoning your creativity should not be the consequence. When it’s been a while since you have created, it can be hard to get back into it. The best way to kick-start your creativity is to learn something new. Specifically, take a class in a creative art that you have always been interested in. This could be on how to make concrete jewelry or on how to cook. Creating and learning how to create generates new challenges to your brain. The class can also give you the technical knowledge to start a new hobby that you can bring home with you. If you learn how to brew your own beer, you can then continue this passion at home with picobrew kits. Taking these classes can even help open up your social circles – you will, after all, be in a group with others who are interested in the same creative process that you are. At work, we must do our best. There is no room for wild experimentation, because our jobs have specific parameters that must be met. With art, perfection does not matter. It especially does not matter when you are getting back into the habit of creating. Go wild. Have fun. Let loose and simply create. You might hate what you make, or you might love it; what is important is how you feel as you create it, and that you consistently create every day. Working hard at your job can leave you tired when you get home. Add in a few social visits and your day is done. This lack of time and energy often leads to an abandonment of your creative pursuits, but it doesn’t have to be. You would be amazed at how much time you have left over if, for instance, you turned your phone off. Even adopting an easy hobby like crochet while you watch Netflix after work can help work out the right side of your brain, which can be a huge relief after a long day at work. If you love art, get out there and see it. It doesn’t even matter if you go by yourself, go to galleries, go to plays, to concerts, and more. Immerse yourself in art, because enjoying creation is just as important as creating. In some cases, such as going to music events, you can also express yourself through dance. Dance, and you’ll feel the benefits of creative expression and exercise, which can give everyone a much-needed thrill. You don’t have to create to enjoy the benefits of creativity, either. Reading and listening to music are technically passive activities, but they can engage the mind and help you slow down and take control of your life. Reading, in particular, requires a certain amount of effort, and that very effort encourages focus which can allow you to feel centered and balanced throughout your life, among these other amazing benefits. Working with your hands leads to enhanced mental health. Working with our hands breaks away from the technological dependence we have and harkens back to our primal natures. It is satisfying because it gives us complete control. It also satisfies our tactile responses. Feeling and moving are all healthy stimulants that can lead to a more fulfilling life. Working with our hands lets us slow down. We go through so much media and so much information throughout the day, from the moment we wake up to when we go to sleep, that our attention spans have suffered as a result. This was unavoidable. Scroll through any newsfeed, and you pass by photo after photo, article after article, post after post. There is so much information available at our fingertips that we learn to filter it out. Creating can help us learn to refocus. Starting a project and sticking with it can help slow you down and can help you relax as it requires a hyper-focus on one single task. It is this focus that offers the perfect treatment for modern life. Creating is powerful. Creating and being proud of your creations can lead to a fulfilling and happy life. Pursuing your creative passions can lead to new friendships, it can be an excellent way to handle the daily stress of your job, and it can give you some happiness on a daily basis. When you love doing something you should never abandon it because your day job leaves you uninspired. Instead, force yourself to create. You will be amazed at how well you can take control of your life as a result.